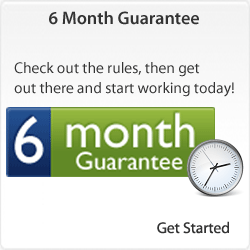 Registration Options Cancellation and Account Options 6 Month Guarantee Have a Promo or Discount Code? You can upgrade, downgrade or cancel your account at any time by visiting your account control panel after logging into your account. All cancellations are effective immediately with your self-cancellation request and both onscreen and email cancellation confirmations are provided for your records. To view your account details, upgrade, downgrade, or cancel, please sign in to The Avjobs Applicant System and view the available options under "My Account", "Service Options" at https://members.avjobs.com. Click here to have it emailed to you instantly. You can easily cancel your subscription or downgrade to another subscription type at anytime, 24 hours a day, 7 days a week. There are no cancellation fees when cancelling with our self cancellation form. If you request or require Avjobs to close your account for you, you may be charged a cancellation fee. You may start or stop your subscription at any time. A cancellation form is provided in the Applicant System under "My Account", "Service Options". Once you have completed the cancellation form your subscription will be cancelled immediately (at your request). Please remember that all account information as well as your entire master profile, resume, all email, and any saved jobs or favorite pages will be removed. 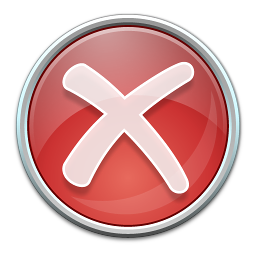 All account information will be removed from the Avjobs Applicant System immediately upon cancellation. This includes but is not limited to: your user ID and password, all personalized settings, your resume, all saved jobs and jobs you have applied for (application summary), favorite pages (personalized menu), your job search assistant status and results. You will also lose all access to your email account and mailbox. Your email address along with all of your messages and settings will be deleted. All cancellations are effective immediately. You will receive a confirmation via email (at the email address you used to join) that your account has been cancelled. Please note: If your subscription is past due, please take a moment to update your billing information before closing your account. You can still close your account without updating your billing information, but are responsible for any past due balances or fees accrued before cancellation. Instead of canceling your entire account, additional subscription options are available. You may want to keep your Avjobs email account, or you may want to keep your resume hosted for employer viewing, and you may want to know what jobs are available. You may Upgrade, Downgrade, and even Cancel your account in the Avjobs Applicant System, 24 hours a day - 7 days a week. All Upgrades, Downgrades, and Cancellations are effective immediately. Both an on-screen and an email confirmation is sent directly to your inboxto notify you of your account status change for your convenience and your records. It is very common for applicants to focus on just searching and viewing job postings. Often the other key aspects of successfully landing that new position are overlooked. Take a closer look at the necessary steps for getting hired FASTER! Avjobs provides a step-by-step process with proven results. We even have an "Automated Job Search Assistant" to keep you on track through out the process. If you have skipped any of these steps, you may be making the process longer and harder than it needs to be. The Avjobs methodology works with all major air carriers, airports, aerospace, aviation, colleges, universities and government agencies and is available to help you explore your opportunities, refine your search, and ultimately, get the right job, faster. 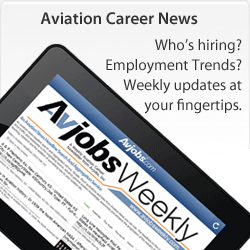 You may be missing out on KEY features and functions of the Avjobs Applicant System. Visit our registration page for more information on Subscription Types. To upgrade your account, simply sign in to your account and select a different account type under "My Account", "Service Options". 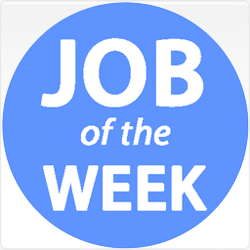 at https://members.avjobs.com. Many of our previous applicants want to keep their Avjobs Applicant System account open even after they have successfully landed that new position. Some just want to stay informed about what type of position are available, some want to keep their resume hosted (just in case something better comes along), and some even use the Applicant System to help them negotiate a raise for their current job. Remain a step ahead of the competition. 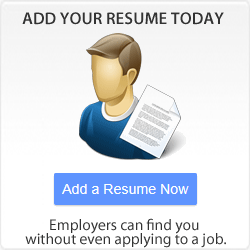 Keep your resume hosted, your Avjobs email address and access to the Avjobs Applicant System, industry news and Tools. You can easily keep your career email separate from your personal mail by holding on to your Avjobs email account. Not only will you have complete access to your mail but you will also continue to have access to many tools and important Aviation related news. Visit our registration page for more information on Subscription Types. This "downgrade" option is also available to you as part of the cancellation process under "My Account", "Service Options" at https://members.avjobs.com. Keep your resume hosted for employer viewing in addition to access to your mail, important news and announcements. You may sign in any time to make updates or changes to your resume. Employers can continue to contact you easily and privately for future employment and you can have 24 hour access to print view or email your professional Resume. Visit our registration page for more information on Subscription Types. All account status changes, including downgrades and cancellations are effective immediately. You will receive a confirmation both on-screen and via email (at the email address you used to register) that your account status has been changed and/or cancelled.